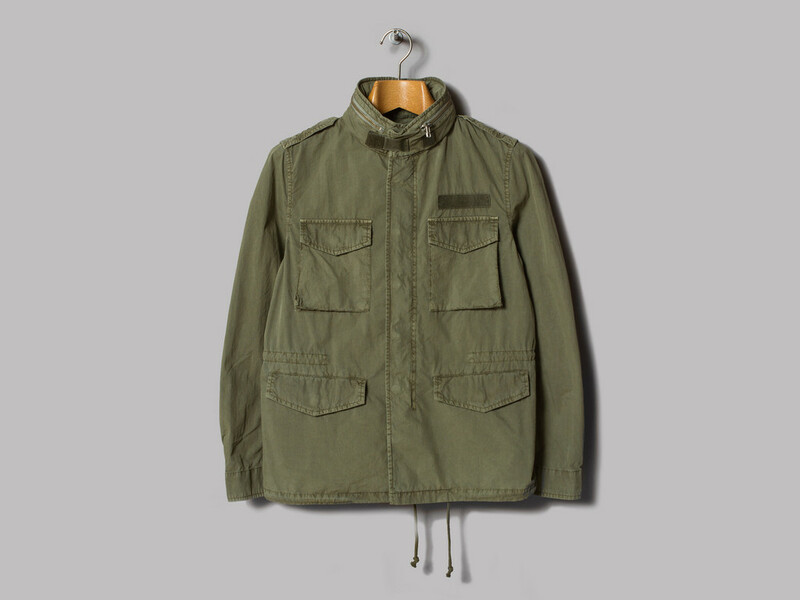 I’m a big fan of a M-65 flight jacket, it’s probably my favourite jacket, or one of them anyway. It’s a big film jacket, it always pops up in the good films. It’s where I first came across it I reckon, in Dead Mans Shoes if you’re arsed, like. Paddy Considine wears it while causing the local drug dealers all sorts of bother in Matlock. I’m very much about that hippy Vietnam veteran style, and a M65 finishes it off, it’s a style that’s gonna be big this summer with Inherent Vice recently being in the cinemas, it’s got me wanting to get one of those floral Engineered Garments shirts from Oi Polloi and pair it up with an old M65 covered in patches. It’s been worn by everyone from Travis Bickle to Woody Allen, all the outsiders, so we’ve picked out our favourites from the current SS15 ranges so youse can all look dead cool when you meet up with other like minded lads off the internet for some ale in the sun. Nice of us, init. First up, Beams+, probably the one that’s staying closest to the original, the matierial on this one looks spot on, it’s a bit more aged looking as well, more like the type you’d get in one of those musty army surplus stores. The chest pockets on this look mint as well, with that spot for the name patch above it, really like that detail. 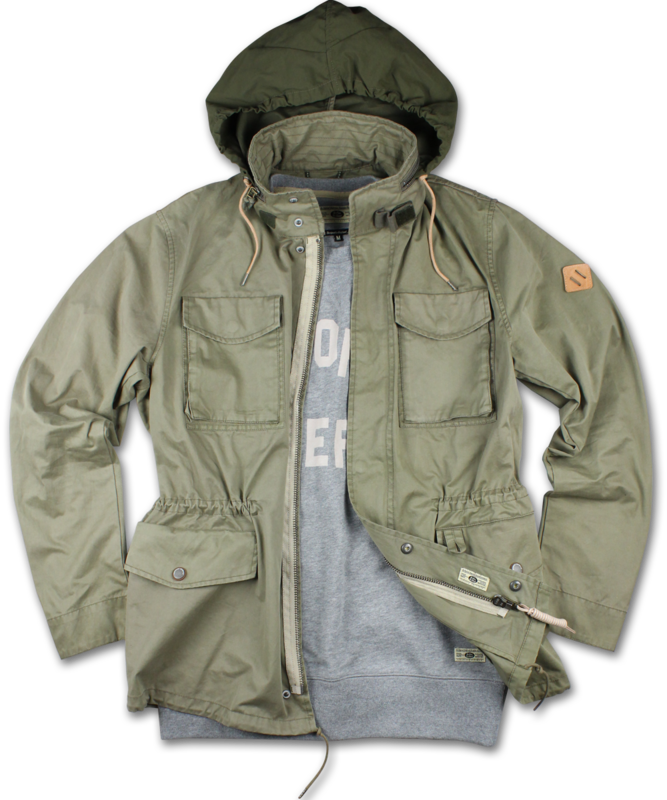 Couple of internet mates have this and they all have good things to say about it, it comes in three colours, navy, beige and olive, but let’s be honest, there’s only one colour you want this jacket in. Get this one here. 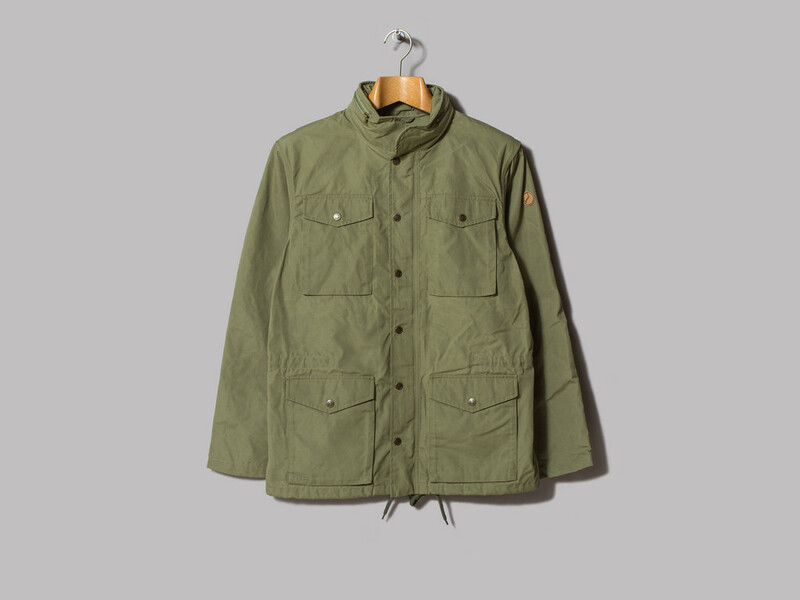 Fjallraven’s offering on this is mint, it’s a standard M65, but you can tell it’s different, it’s just got a little more about it. Made out of their G1000 fabric. Good thing about this one its it looks decent with the hood out, most of them don’t, but this one does. Which is a big thing being in the north, bound to be caught out at least once. It’s got the little leather fox patch and Swedish flag on it, typical of Fjall. It’s very Scandinavian looking, dead good for if you wanna go running about a Swedish town remaking Dead Mans Shoes. Get this one here. 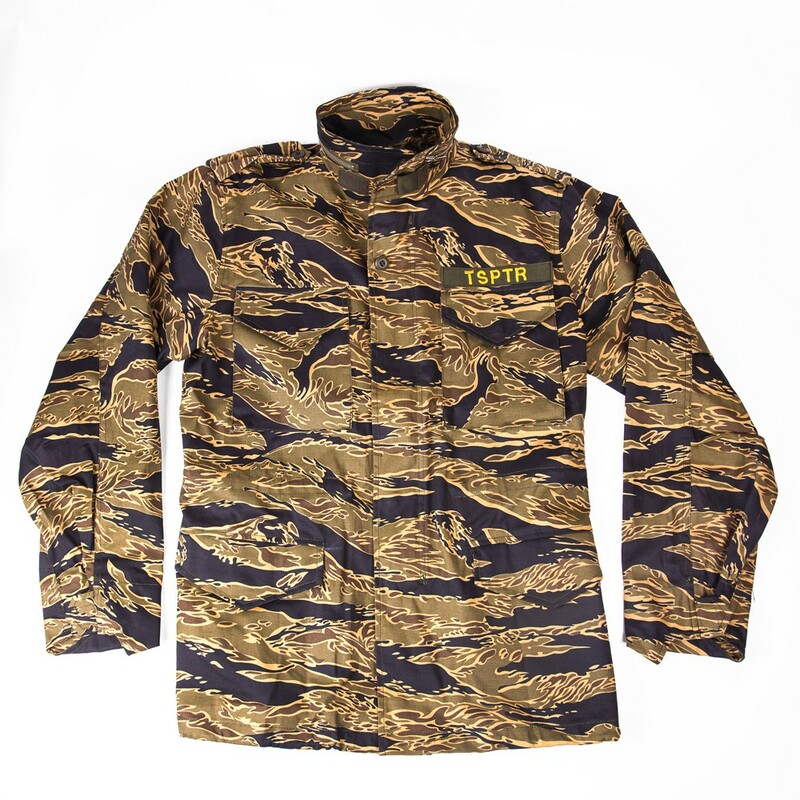 TSPTR’s SS15 is very much based on the counter culture of the Vietnam war, so it’s only right that they’ve done their version of it, with a big twist, they’ve done it in the Tiger Stripe came pioneered by the Vietnamese Marines Corps, it’s proper lairy which is a good thing, you won’t see many other people in them. I like it, I don’t reckon I could pull it off, but I’d try. It’s probably my favourite M65 I’ve seen up to now, just because it’s so different. Get this one here. Uniformes Generale have waded in in done their version of it, and they’ve done a proper decent job of it. It’s been getting a lot of love on the internet this one. Probably because they’ve stuck so close to the original, the colour and look of it are pretty much the one you’ve seen on the back of ever film outsider, which is what it’s about, init. Get this one here. That’s our favourites for summer up to now, no doubt over brands will do a version, i’d love to see some of the Japanese brands that are big on work ware and military ware do one, they probably will. Go buy one of them, you’ll definitely thank me on the internet and buy me a pint. Just don’t pair them up with a big killing spree or a DIY mohawk and an underage prostitute.